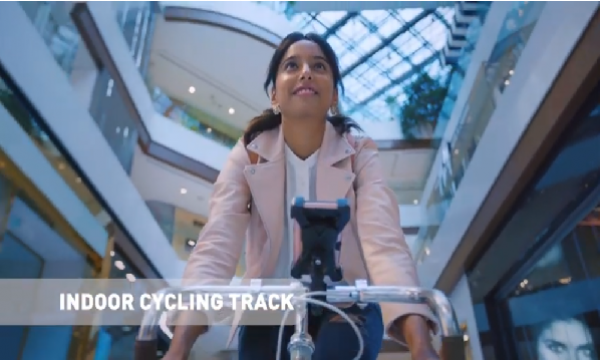 The upcoming Funan Mall will allow indoor cycling in its Level 1 through amenities paired with end-of-trip facilities such as cafés and shower facilities. Singapore malls are embracing fitness spaces in the hopes that they could lure more footfall which has been steadily declining amidst the growing clout of ecommerce players in the retail scene. The likes of Velocity@Novena Square houses sporting brands such as Adidas and Asics, as well as OUE DownTown with tenants on board such as Absolute Cycle, Boulder Movement, Haus Athletics, Still Boxing, and Sweatbox Yoga, are just a few who have incorporated fitness spaces into their mix, Edmund Tie & Company CEO and head of research Ong Choon Fah told Singapore Business Review. This trend is set to spill over in 2019 with the opening of Funan Mall, Capitaland's retail offering that is slated to open in Q22019. “Funan will focus on more experiential elements incorporating new technologies and aims to provide more fun and creative concepts,” RHB analysts Juliana Cai and Vijay Natarajan told Singapore Business Review. 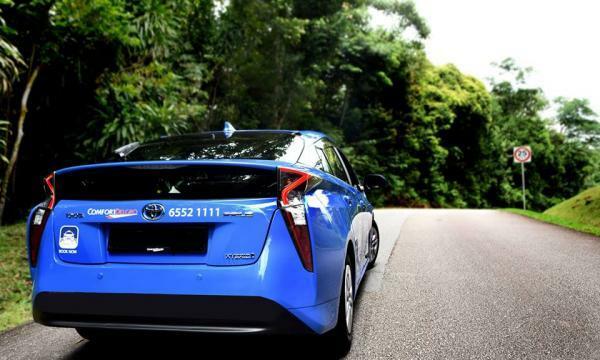 “The retail component will be broadly classified under three themes: Technology, Fitness and Taste." When launched, the development will allow cycling through the building’s Level 1 with cycling amenities paired with end-of-trip facilities such as cafés and shower facilities. Amongst its roster of tenants is English premium folding bike brand Brompton Bicycle which will have its first flagship store in Singapore. Funan will also have a dedicated eSports zone where local gaming store GamePro shall be hosting eSports tournaments. Meanwhile, Ark Futsal has committed to operate the only futsal court in the CBD at Funan. CapitaLand envisions Funan to be what it claims as Singapore’s first online-and-offline (O&O) shopping mall that will combine online, offline, data and logistics. Apart from its retail segment, it will also have an office component as well as lyf Funan Singapore which is a serviced residence to be managed by Ascott. Aside from pinning their hopes on the fitness arena, RHB noted that in 2019, activity-based tenants that are geared towards kids learning & enrichment, entertainment/experiential shopping, family-oriented retail concepts as well as new F&B concepts are also likely to gain traction in the retail space, analysts from RHB noted. These kinds of tenant mix easily occupy around 50% of a mall’s floor area with less than 300,000 sq ft of net lettable area. acoording to Savills Research. Savills Singapore senior director for research and consultancy Alan Cheong mentioned in a previous interview that United Square Shopping Mall in Thomson Road is one such mall which has pegged itself as a kid’s learning hub by various spacious nursing rooms paired with colour-themed levels as well as detailed play features. Such strategies towards holding on to more activity-based tenants is becoming a trend in the industry, with the retail sector seeing sluggish tenant sales paired with dismal shopper traffic in Q3, making the segment less attractive compared to office and hospitality REITs, CIMB noted. What's worse, the challenging outlook is likely to spill over to 2019. “The headwinds still remain in the form of higher retail supply amidst slowing population growth,” RHB analysts Juliana Cai and Vijay Natarajan told Singapore Business Review, adding that there will be 1.5 million sq ft of retail space in the pipeline for 2019. The analysts think that the retail sector could be hit as growth in domestic spending is likely to taper off along forecasts of slower economic growth in Singapore. The difficulty to lure more traffic amidst limited tenant mix has also hit smaller malls that have net leasable area of 200,000 sq ft and below with negative rental reversions as of 9M 2018, another CIMB report suggested. 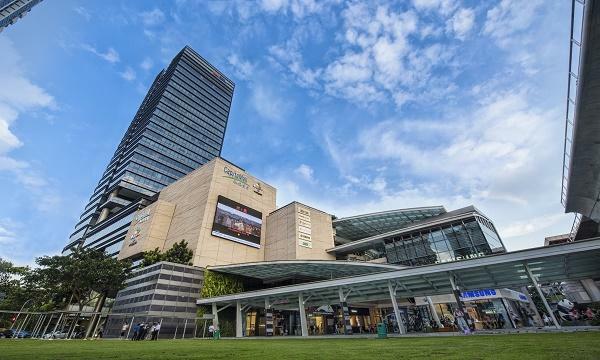 For CapitaLand Mall Trust, five out of 15 malls including Bukit Panjang and JCube reported negative rental reversions within the range of -0.5% to 2.1% YTD. The CIMB report also noted that Raffles City posted the worst rental in the portfolio as it was hit by ongoing AEI at Raffles City Hotel. Lot One Shoppers Mall and Westgate also booked slight negative rental reversion of -0.5% whilst Bedok Mall continued to register negative rental reversions YTD as the trust focuses on increasing occupancy rate. “Larger and suburban malls should see more resilience as larger malls have the ability to organise large events and offer a wide variety of tenant mix, including activity-based tenants to attract shoppers, whilst most suburban malls are blessed with large catchments in the surrounding area,” CIMB analyst Kar Mei Eing previously said. Looking ahead, e-commerce will continue to find its way into every niche of retail, Huttons Group head of marketing and communications Hector Tan told Singapore Business Review. “We’ve moved from Web 1.0 to Web 2.0 over the last five years. Moving forward, it will be about relationships. As with all businesses, brands that survive in the long-run are those that are able to create and maintain customer loyalty,” he commented, noting that traditional retail brands may have to face scalability as a challenge unless they adopt technology and e-commerce into their customers’ purchase cycle."